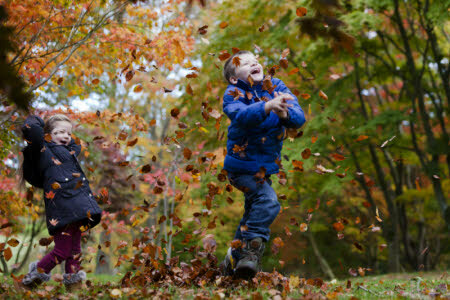 This autumn, as dazzling leaf colour lights up Bodnant Garden’s 80 acres, we’re inviting everyone to go wild about trees in a month-long festival… and to kick off the celebrations we’re asking you to get rooting for one of our special residents. Our Coast Redwood in The Dell is in the Wales finals for the Woodland Trust Tree of the Year 2017 competition. This 130-year-old native American lady (or is it an old man?) soars over the riverside where she’s made herself perfectly at home – a living symbol of the garden’s rich and amazingly beautiful tree collection. We’ll be celebrating her and our other trees during Treefest from October 13 to November 10, with a host of woodland activities. 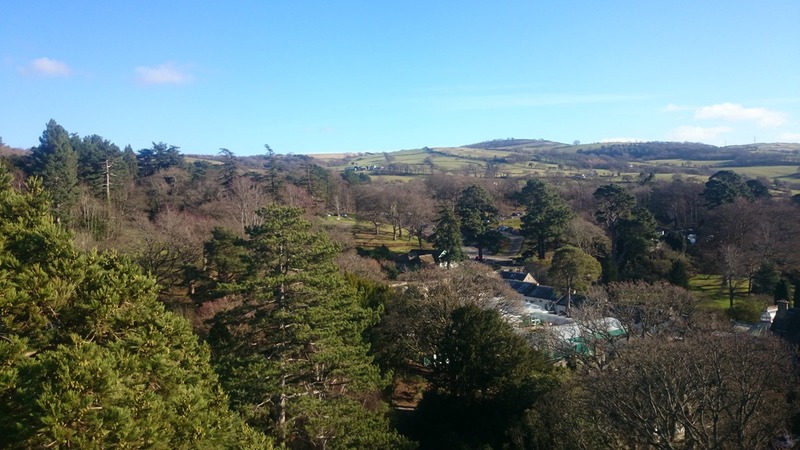 We love our trees here at Bodnant Garden. 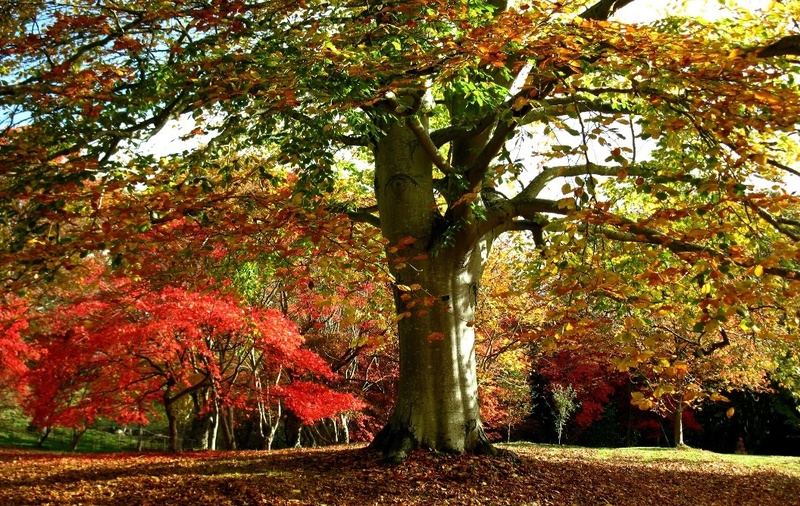 The collection goes back to the Georgian era when the first beech, oak, sycamore and chestnut were planted. 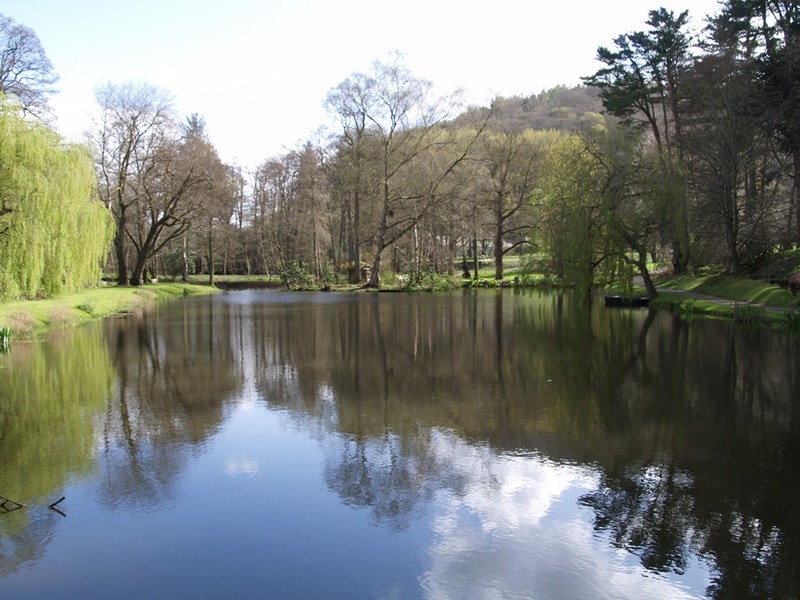 Successive generations of the garden’s owners planted American conifers and Asian broad-leaved trees and today Bodnant is home to 42 UK Champion Trees – the biggest, rarest and best of their kind – plus 130 Welsh Champs too. 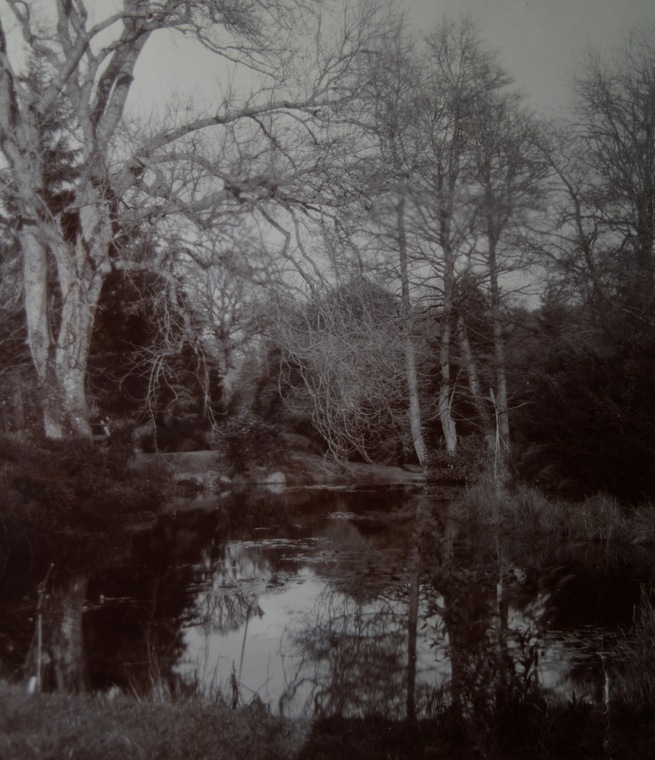 It was Mr Pochin who developed the pinetum in the valley garden, planting American and oriental conifers along the banks of the River Hiraethlyn. Some of these were exotic to British gardens, newly discovered by 19th century plant hunters. In Bodnant’s waterside dells these new trees thrived, sheltered against the elements were they have grown taller and faster than in other areas of the garden. 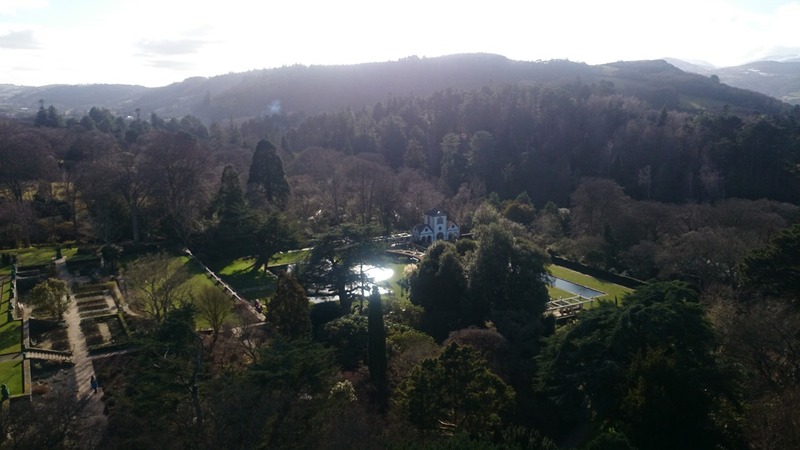 Head Gardener John Rippin says: “For me the most dramatic tree at Bodnant is the champion Sequoia sempervirens which is the tallest of its kind in Wales. It’s not just about the immense size (which is pretty awesome) but also the potential this tree has to carry on growing. 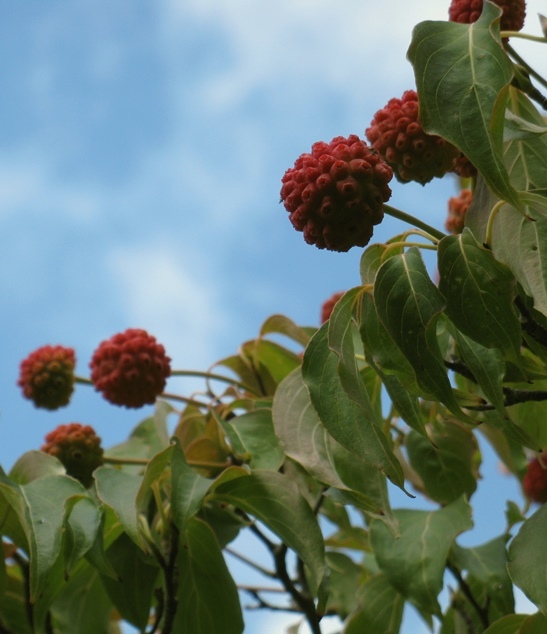 There are some amazing stories behind our trees; the rare and exotic ones discovered by intrepid plant hunters in centuries past, and the native ones which are home to so much wildlife today. Come and discover more during Treeefest… and in the meantime, if you feel inspired to cast a vote for our Coast Redwood, you can do it here until October 8: www.woodlandtrust.org.uk/visiting-woods/tree-of-the-year/wales Our Sweet Chestnut on the Top Lawn was a runner-up in the competition last year and featured on a Channel 4 documentary – let’s see if we can go all the way! Here at Bodnant Garden the grand old Sweet Chestnut on our Top Lawn is one of our most loved residents. Known as a ‘walking tree’, she’s now in the running for the title of Wales Tree of the Year. Striding across the grass of the formal lawn with her gnarled, many-legged trunk, the old girl is one of the first sights to greet visitors when they arrive through the garden gates, much photographed, painted and admired. Now, she is one of six great trees around the country vying for the prestigious title of Wales Tree of the Year in a competition being run by the Woodland Trust. The public are being asked to vote for their favourite and the winner will be announced in mid-October. So why is she so special? This tree is one of the oldest at Bodnant Garden, a remnant of its early, Georgian past. Owner John Forbes built the original hall in 1782 and created a parkland around it in the Landscape style of the day after designers like Kent, Capability Brown and Repton. This brought nature close to the house with a panorama of rolling grassland dotted with native trees like oak, beech, sycamore and chestnut, and a ha-ha or ditch keep grazing animals away from the hall. With her solid Georgian roots, our Sweet Chestnut has withstood the passage of time and the rugged North Wales weather, being encorporated into the later, formal Victorian upper garden and ageing into her very own, unique character. Her main stem was blown out at some point in the past by a lightening strike causing the trunk to split. Over time several of the larger branches have layered themselves upon the lawn, giving her ‘legs’. She’s a favourite of gardener Dave Larter who watches over our trees here at Bodnant Garden. He says: “I love trees! Especially old trees with some history, trees with character and trees with potential for the future. This one has it all. At well over 200 years of age, maybe 250, she is making her claim on the top lawn for sure. 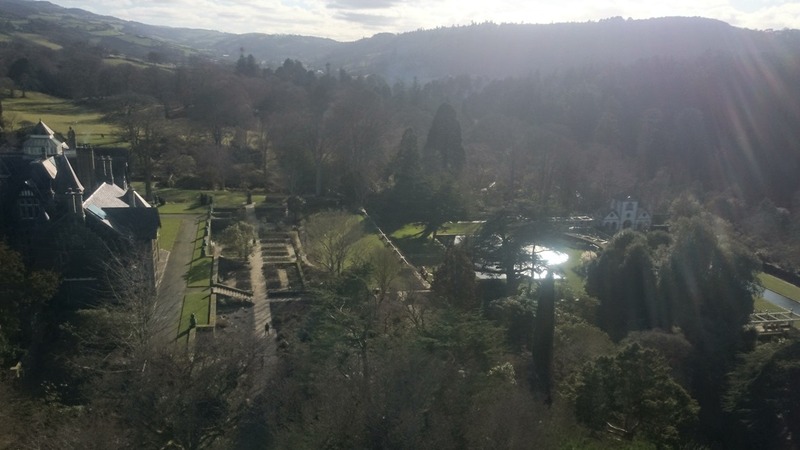 Bodnant Garden is home to many exotic and native trees, some of them UK Champions – the biggest and best of their kind in the UK. The Sweet Chestnut is an honourary native, having been introduced to Britain by the Romans, and while ours hasn’t attained any official Champion status (yet!) she certainly holds a special place of honour here at the garden. We’ve got an amazing garden…and a passionate team of staff and volunteers willing, able and just itching to tell you about it! Whether it’s Champion Trees, everything you ever wanted to know about salvias or Bodnant history, our team regularly give talks, from daytime guided walks around the garden to evening presentations for outside groups. 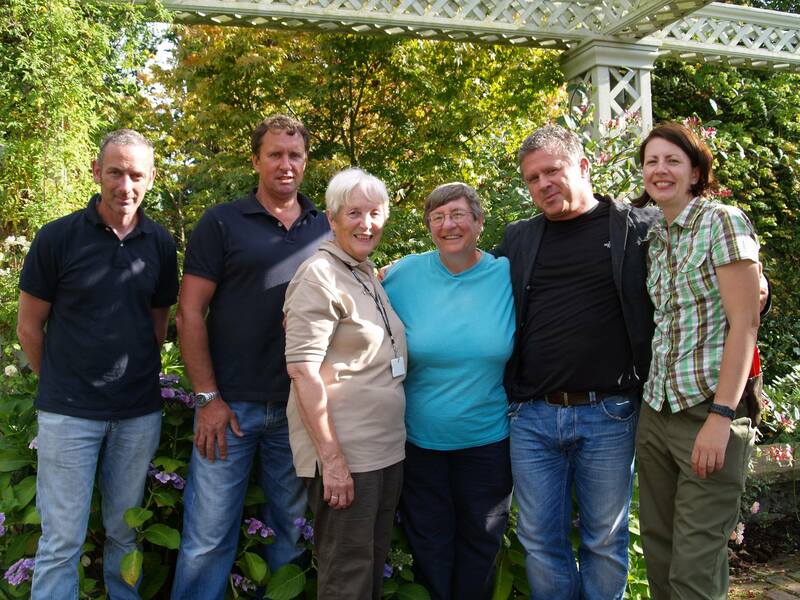 Our head gardener John Rippin, supervisor Bill Warrell and gardener Fiona Braithwaite regularly give presentations to local groups, and some further afield, on subjects ranging from garden history to plants to wildlife, supported by other staff and volunteers. 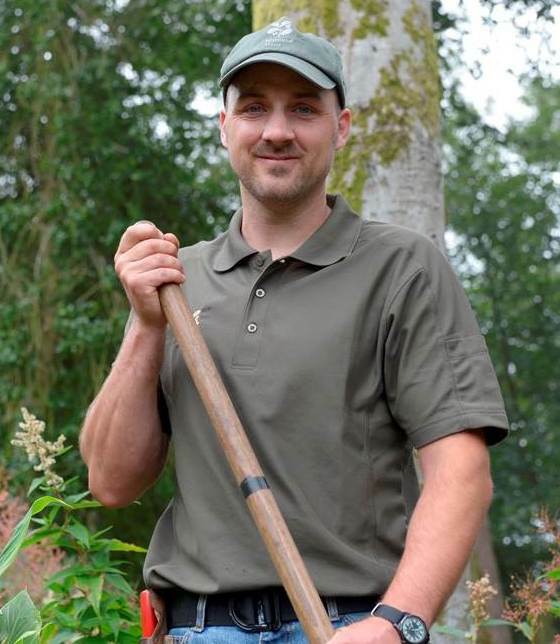 Head gardener John joined the team in January but is already making his mark and giving presentations on his vision for Bodnant Garden, what areas of the garden are opening in the coming years and our plans for the future. It’s all about the plants for Bill, who will wax lyrical about the diverse collection of plants to be found throughout the seasons, as well as the garden work entailed in maintaining this much-visited, much-loved, Grade 1 listed gem. 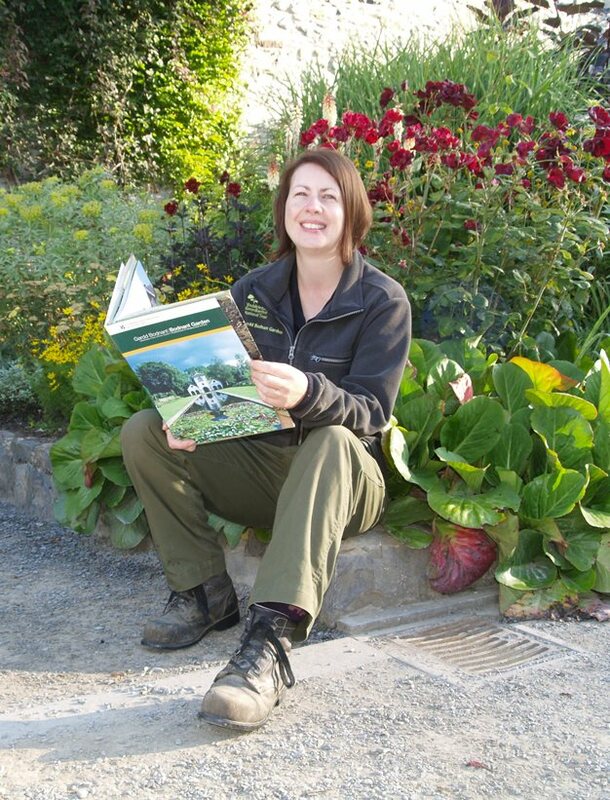 Fiona is our history expert and is well known, and in demand, for her presentations about Bodnant Garden through the ages; the families, famous plant hunters and gardeners who developed it. 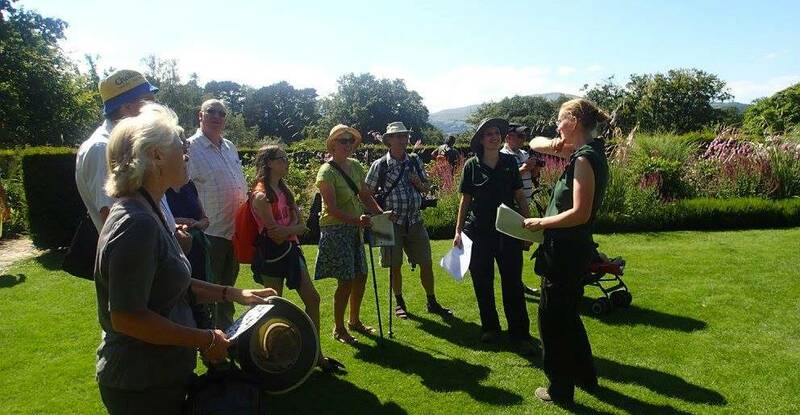 As well as group presentations there is a regular programme of monthly specialist guided walks and talks around the garden provided by our gardeners and students. Topics covered this year have ranged from rose care, plants and folklore to propagation. This year we’ve also started a new series of bird walks with local experts BirdwatchingTrips, which are becoming increasingly popular. 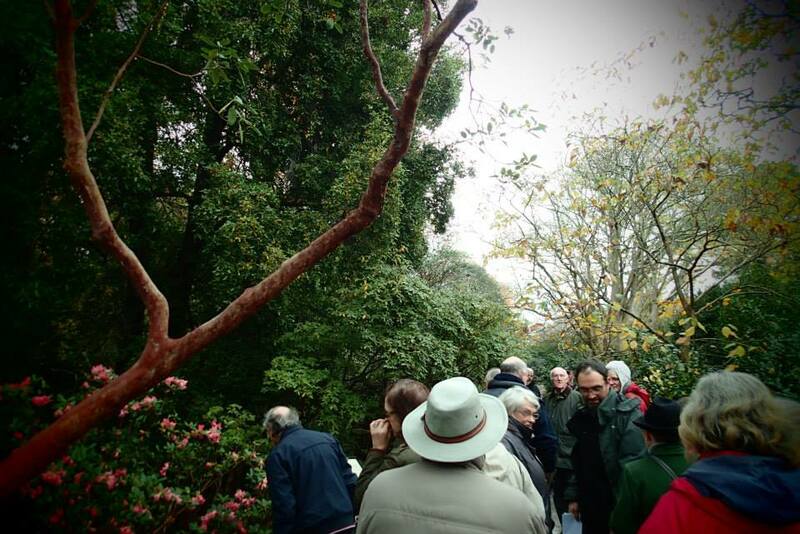 Our knowledgeable volunteers also provide free guided tours of areas of the garden throughout the week. 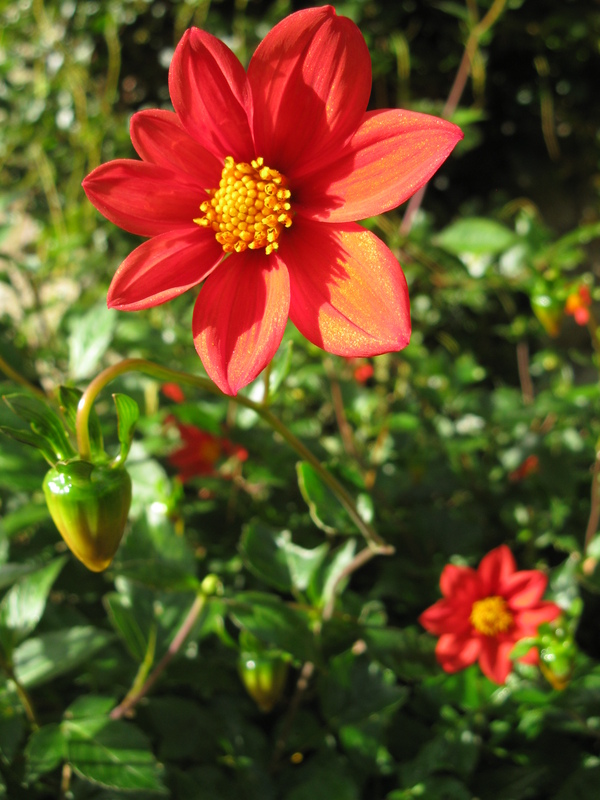 For details of our guided garden walks check our website and Facebook page and if you’d like to book a presentation to your group call the garden office on 01492 650460. 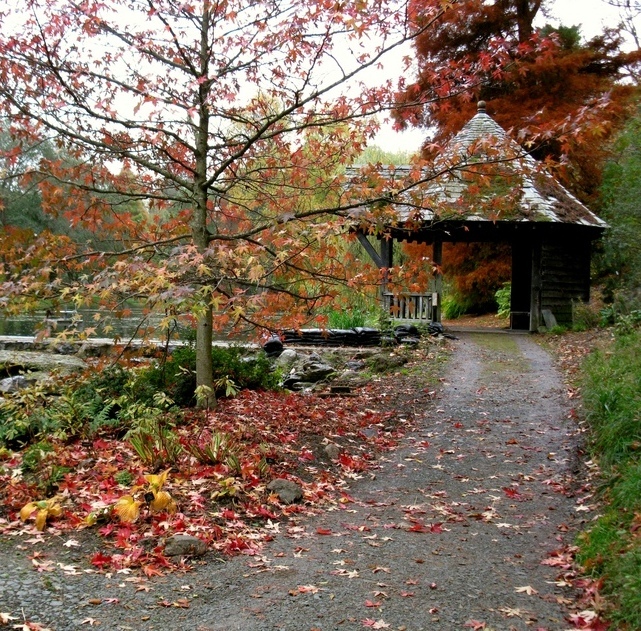 There’s plenty to warm the cockles of your heart at Bodnant Garden this autumn. We’ve got 80 acres of autumn glow, plus events for all the family and a warm welcome in our tearooms. 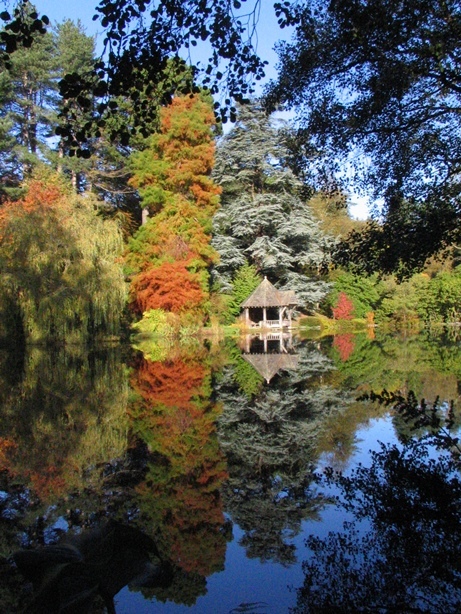 Bodnant Garden is a firework display of colour in autumn, with the dazzling leaf colour of trees and shrubs, ripening fruit and berries and late flowering plants putting on a show to rival the bright colours of summer. The garden’s 140-year-old collection of trees are at their finest at this time of year, especially in Chapel Park (seen below) where you can enjoy the reds, purples and ambers of Japanese acers plus many others – some exotics collected by plant hunters more than a century ago along with other beautiful native trees. For the first time in the garden’s history this autumn, visitors can explore the arboretum in the newly opened lakeside area, The Far End, which includes some of the garden’s Champion Trees. In the formal gardens on The Terraces roses are still in bloom and herbaceous beds are full with late flowering asters, sedums and dahlias; in The Dell our swathes of hydrangeas are changing all the colours of the kaleidoscope as they age; and in the Shrub Borders plants are laden with berries and fruit. 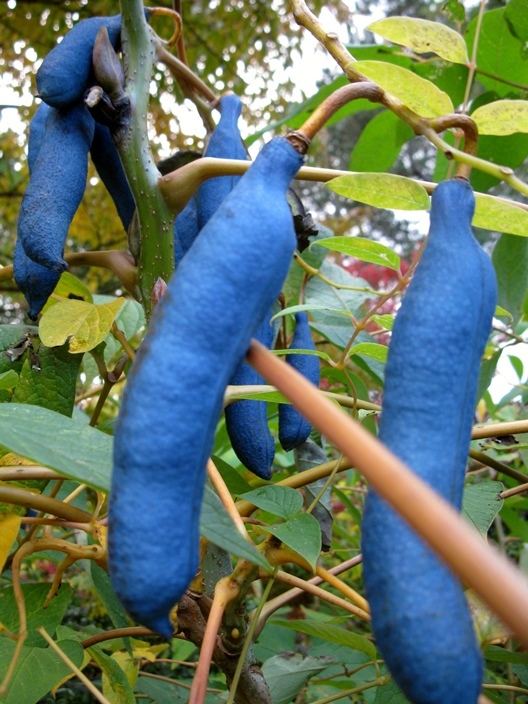 Look out for the weirdest fruit of the garden, the blue pods of Decaisnea fargesii (Dead Man’s Fingers), and giant raspberries of Cornus kousa (seen above). Birds are loving the autumn too as they make the most of the fruits on offer. There’s a chance to see them on October 9 with our Birds of Bodnant Walk at 11am. This is a free guided tour with an expert from Birdwatching Trips. 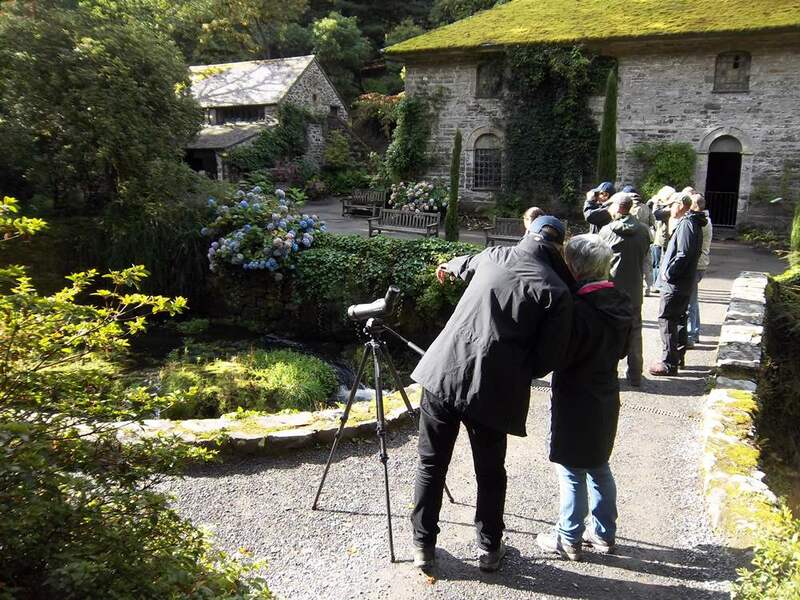 There’s plenty for younger visitors during half term week – from Monday October 26 to Friday October 31 we’re hosting Wild About Gardens Week with craft activities in the Old Mill in The Dell, from 11am to 2pm. There will be environmental art around the garden and families will be encouraged to make their own from items like leaves and cones. There will also be a trail of pumpkins to lead people to the Old Mill. On Saturday, October 31, there are Halloween activities at The Far End and the Old Mill from 12am to 3pm including Making a Witch’s Hovel. These are free events so drop in at any time. 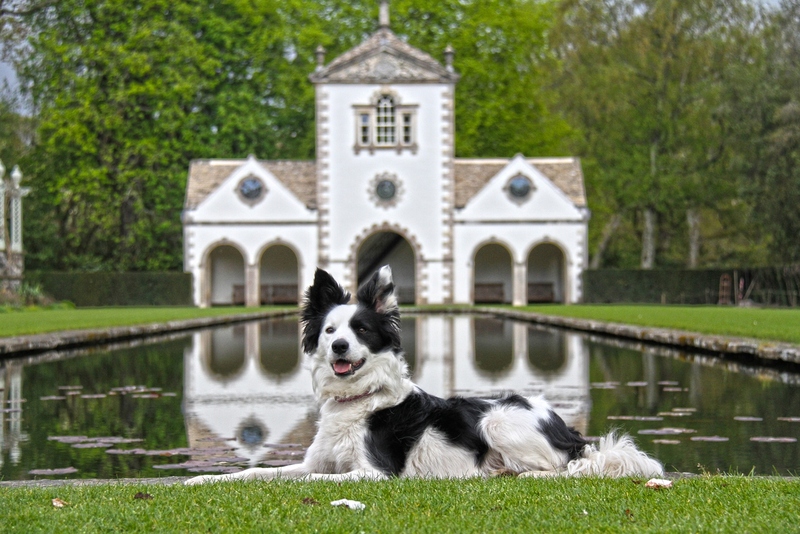 And talking of walks…Dogs Welcome starts again in November (Thursdays, Fridays and Saturdays), with the garden now open to our four-legged friends every day from January until the end of February. If the candyfloss scent of Cercidiphyllum japonicum (Katsura Tree) gives you an appetite there are refreshments on offer every day in the Pavilion and Magnolia tearooms throughout the autumn, plus the kiosks in the Dell and Far End at weekends. For more details about Bodnant Garden call 01492 650460, check out our website nationaltrust.org.uk/bodnant-garden or catch up with us on Facebook or Twitter. The Far End – it’s getting closer! On March 28, after years of renovation work, we’re opening up a new area to the public and it’s all hands to the pump right now as we make the final push before opening day. The Far End is ten acres of tranquil riverside. 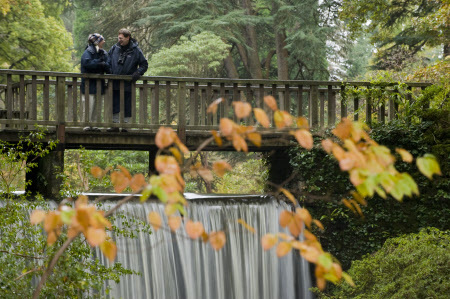 Some of you might have seen it in our Secret Bodnant walks last year exploring private areas of the garden, but until now most visitors have not been able to walk further than the famous Waterfall Bridge in The Dell. Soon everyone can explore what lies beyond…waterside walks, a Skating Pond, boathouse and arboretum. Horticulturalist and broadcaster Christine Walkden will perform the official opening at a special day of celebration on Saturday, March 28. 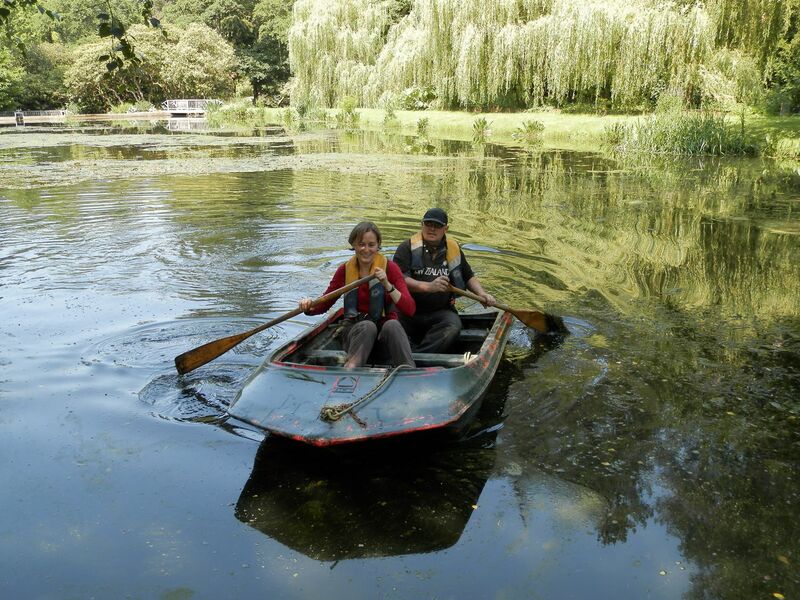 That day we’ll also have harp music in the boat house, demonstrations of coracle making on the lakeside, country dancing, guided walks, a nature trail for children and refreshments. The Far End is quite different in character to other parts of the garden – unlike the formal Italianate Terraces or the dramatic Dell with its rushing river and waterfall – here the paths lead visitors to a small lake which is quiet, peaceful and full of wildlife. 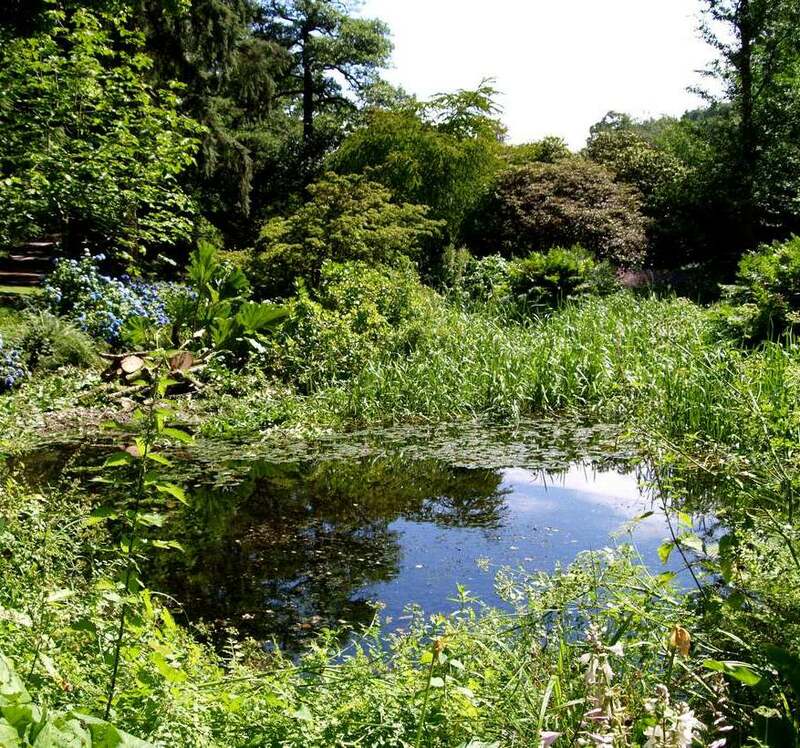 It is one of the oldest parts of the garden, originally laid out by Bodnant’s creator Henry Pochin from the 1870s who envisaged it as The Wild Garden in the style of Victorian garden designer William Robinson. 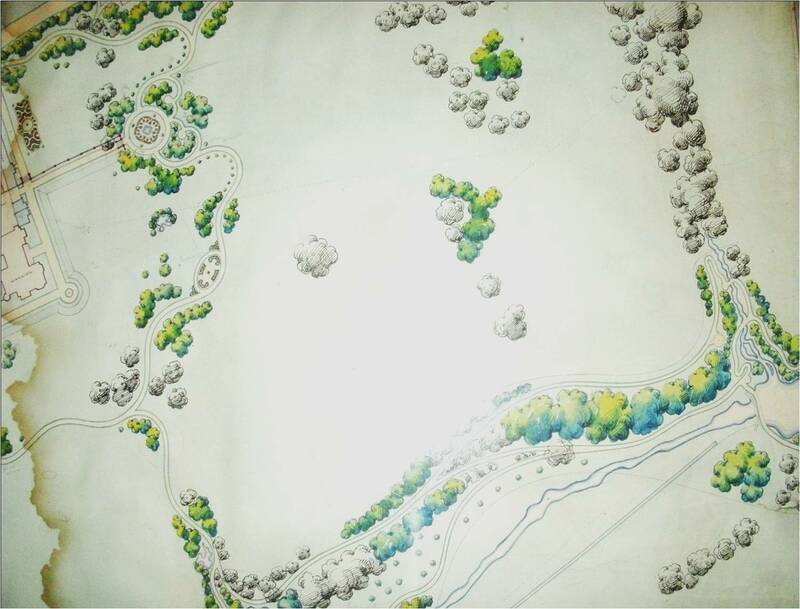 Pochin began by creating paths along the riverside and planting conifers, some of which are now Champion Trees. 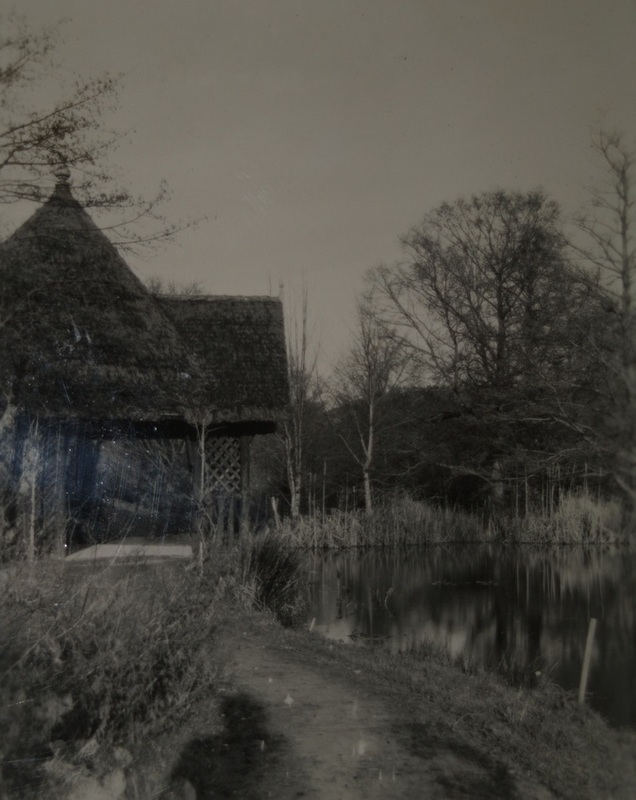 Pochin’s daughter Laura and grandson Henry McLaren laid out the large Skating Pond and Boat House and continued planting trees and shrubs from all around the world. The area was never opened to the public but over the last few years gardeners have been renovating banks, beds and paths, creating a new circular walkway and bridge which will give visitors an easy access, level route around this beautiful part of the garden. The work hasn’t been without setbacks. In November 2011 flooding devastated the area, washing away new plantings, damaging paths and leaving a trail of debris…but the next day garden supervisor Maxine Singleton and her team were clearing up and starting again. Now, three years on, the Far End has been rejuvinated and is ready to open, though renovation and replanting work will be ongoing. 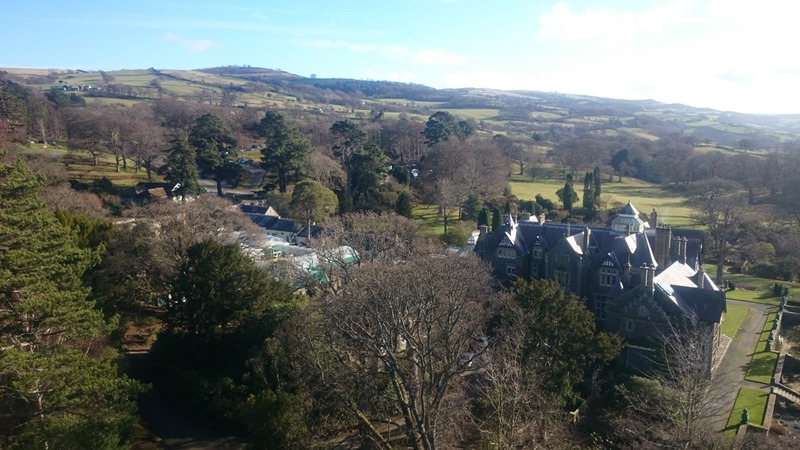 Christine Walkden, a horticulturalist well known for her TV and radio work – and friend and fan of Bodnant Garden – will cut a ribbon officially opening the area at 12 noon. 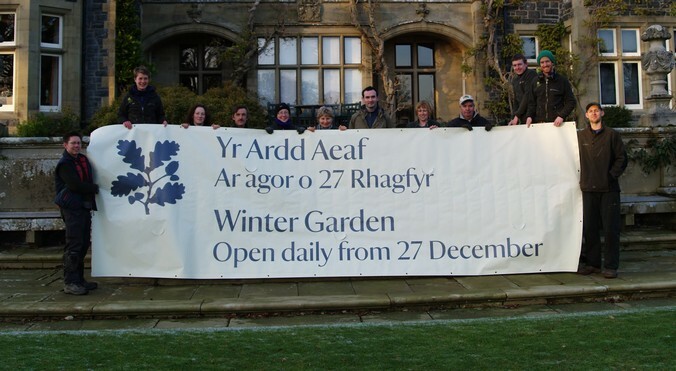 It’s a historic event for Bodnant so be among the first to see this secret garden unveiled! 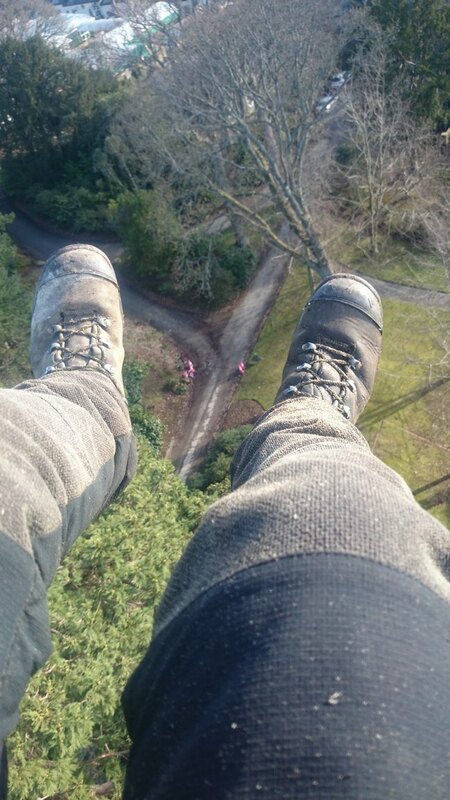 Our intrepid arborists have been taking down an old oak tree in the North Garden – and got these stunning shots of the garden from the canopy. If you haven’t got a head for heights look away now! 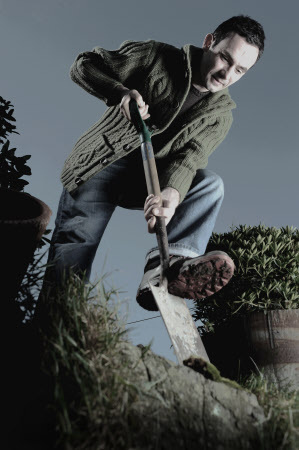 The wait is over – we have a new head gardener. 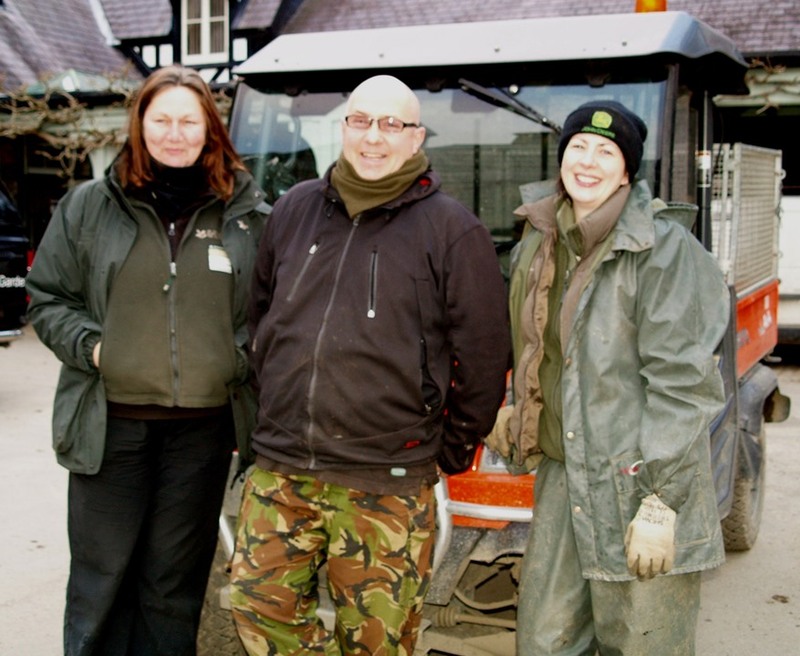 After an 18-month search the coveted horticultural role goes to John Rippin (right), who joins us here on January 19. 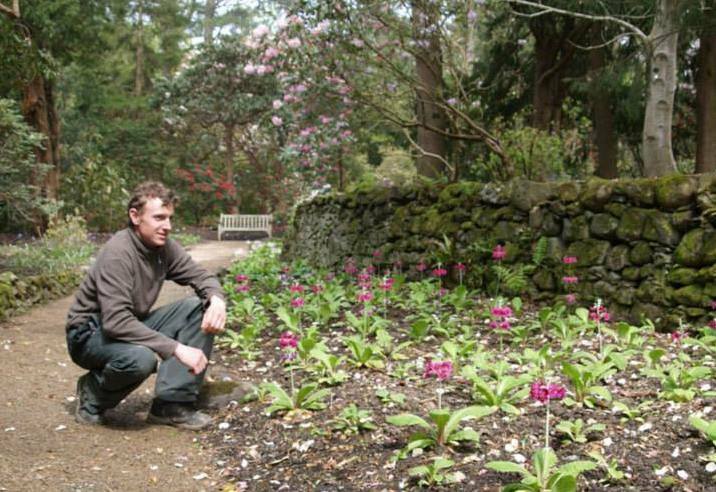 John was previously head gardener at the National Trust’s Castle Drogo, in Devon. Our quest began with the departure of Troy Smith a year-and-a-half ago, who left to take the lead at another of the National Trust’s most prestigious sites, Sissinghurst in Kent. 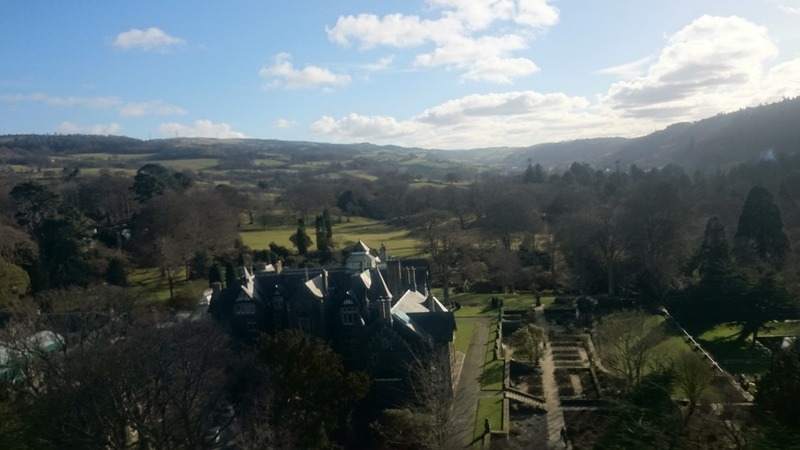 Bodnant Garden ranks among the finest in Britain and attracts around 180,000 visitors from all over the world, each year. Taking the helm of this national treasure is no mean feat. When Troy (seen left) arrived in 2006 he stepped into an illustrious role dominated by three generations of one family, The Puddles – head gardeners who famously helped shape the garden throughout much of the 20th century alongside the McLaren donor family. But the story didn’t start there…the Puddles themselves built on the (literally) ground-breaking work of others. 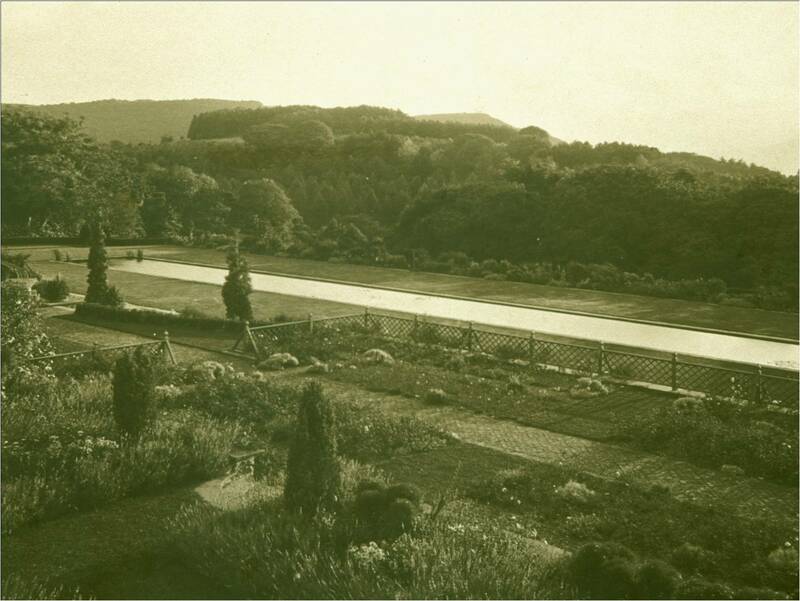 The garden as we know it today really began when Victorian entrepreneur Henry Davis Pochin (seen right) bought Bodnant Estate in 1874, which then included a Georgian mansion house and parkland of native trees laid out in the late 1700s. Pochin was a self made man – the son of a farmer who became a chemist, industialist, businessman, landowner, MP, JP – a man of enormous energy and vision. 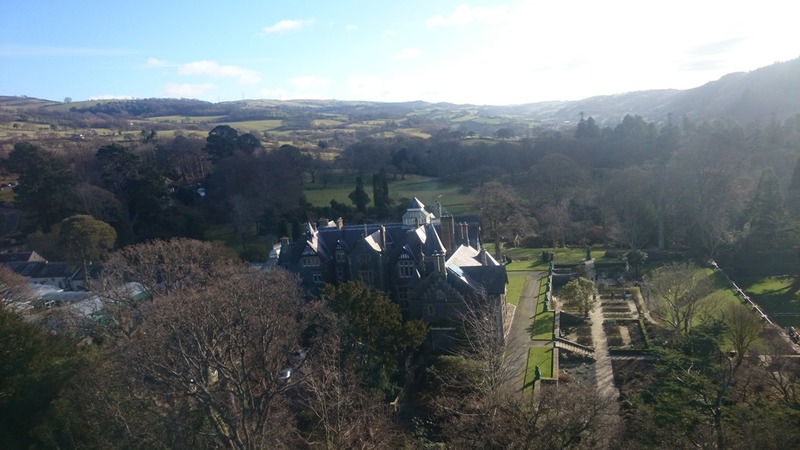 Not content with remodelling the house, he enlisted landscape designer Edward Milner, apprentice to Joseph Paxton, to resculpt the hillside around Bodnant Hall. Putting Milner’s grand plans (seen left) into effect were George Ellis and his team of gardeners. A native of Suffolk, Ellis had risen in the ranks to become head gardener at Kirkby Mallory in Leicestershire, the home of Lady Byron, estranged wife of the notorious lord. 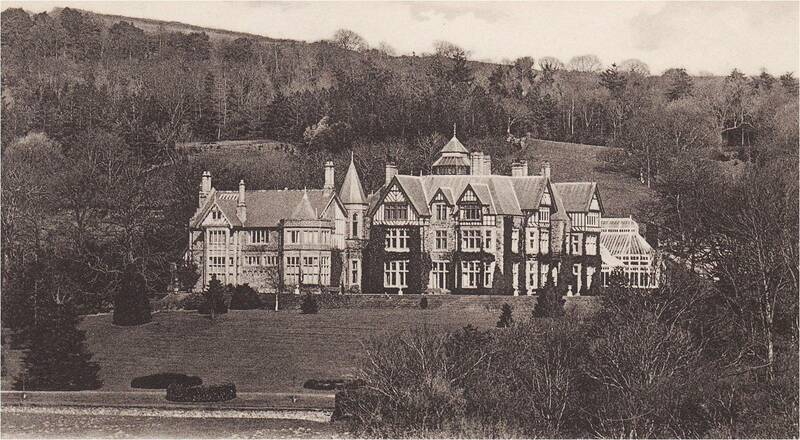 Taking on the Bodnant job in the mid 1870s, he settled in the nearby village of Eglwysbach with his wife Ellen and young family. 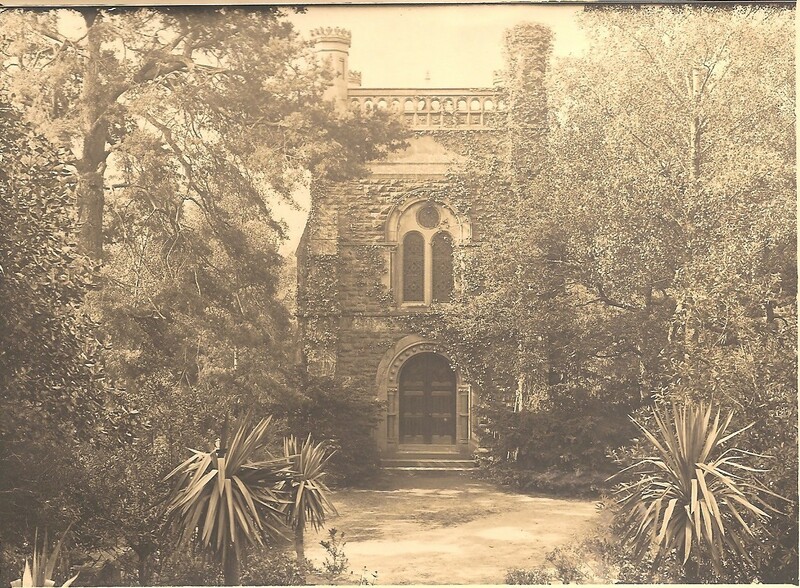 Sadly Ellen died in 1881 aged only 45 and it appears Mr Ellis moved on, or moved away from the area, but not before a decade or so of work which truly shaped the garden. 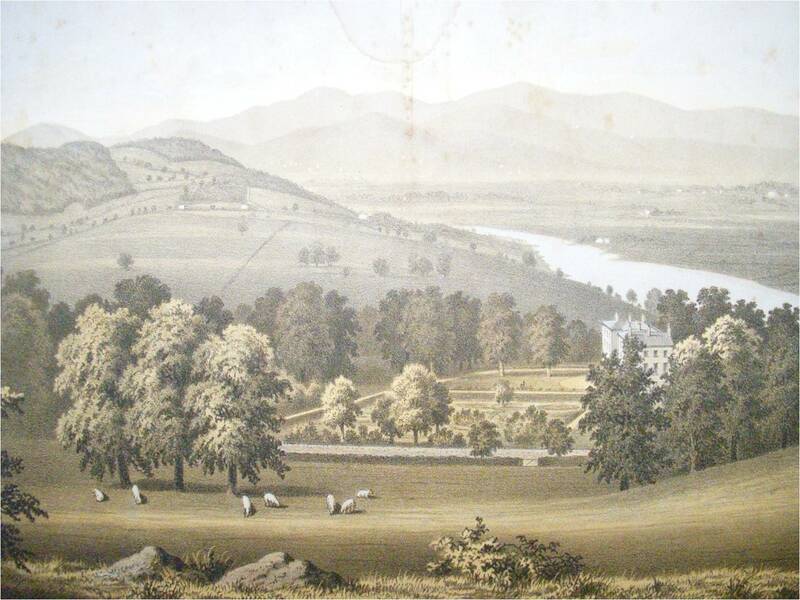 Ellis would have been involved in the early development of the pinetum in The Dell and in planting the Asian and American conifers being newly discovered by plant hunters, in the laying out of paths throughout the valley, in the rockworks to re-enforce the banks of the River Hiraethlyn, in the establishment of new watercourses and sculpting of the pools and falls which define the lower garden. 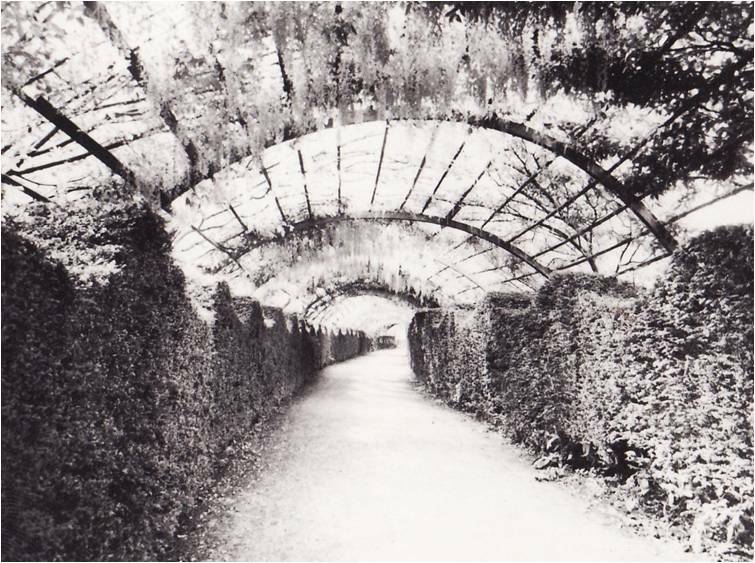 He would also have overseen the planting of the famous Laburnum Arch in 1880 (above, with yew hedges now replaced by azaleas) and the construction of The Poem mausoeum, in 1883 (below). Newspaper articles from the 1880s and 1890s record the success of Bodnant’s kitchen garden, with many awards for fruit, even grapes. The Manchester Courier reported in 1888 that “at the Chester Conference an account was given of the great success in the cultivation of pears and apples achieved by Mr Pochin of Bodnant Hall, Conway Valley…and opions were expressed that there was no reason such success could not be achieved on many a sunny slope in Cheshire.” That showed them. 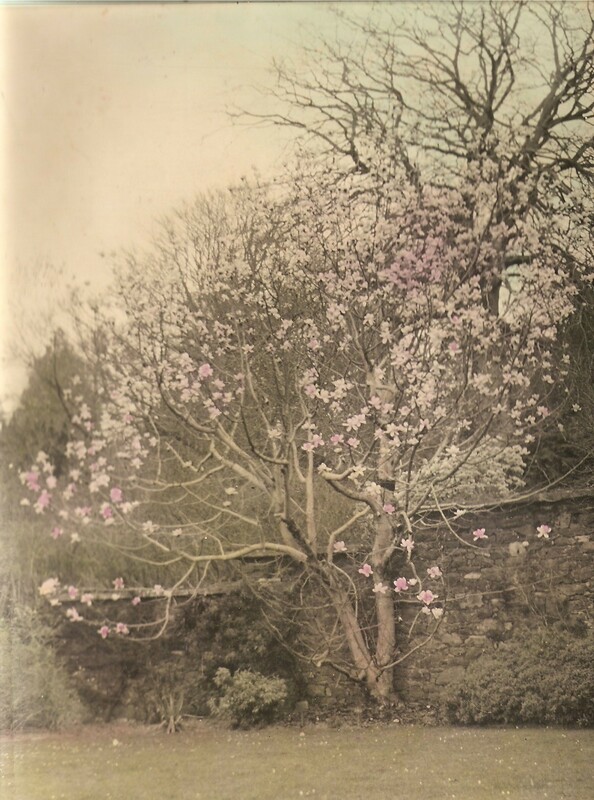 Saunderson would also have been involved in work on the Italianate Terraces under Pochin’s daughter Laura and grandson Henry McLaren (Lord Aberconway) which began in 1904, and also the introduction to the garden, and Britain, of the first Chinese magnolias, camellias and other exotic plants. He had married wife Florence in Derbyshire in 1881 before moving to Eglwysbach. On his retirement in 1911 Joseph was awarded a silver teapot by Lord and Lady Aberconway for thirty years service. He and his family remained living in the area and son Eric also became a gardener – sadly Eric died aged 23, killed in France during the First World War along with 24 other young men from the village, including fellow garden and estate workers. The mantle of head gardener was next taken on by George Gurney, originally from Hertfordshire, who held the role for almost a decade through these difficult years of World War One. It was a challenging time; in addition to those working men who left to fight and did not return, Bodnant mourned Francis McLaren, Henry’s younger brother, who was killed in 1917. 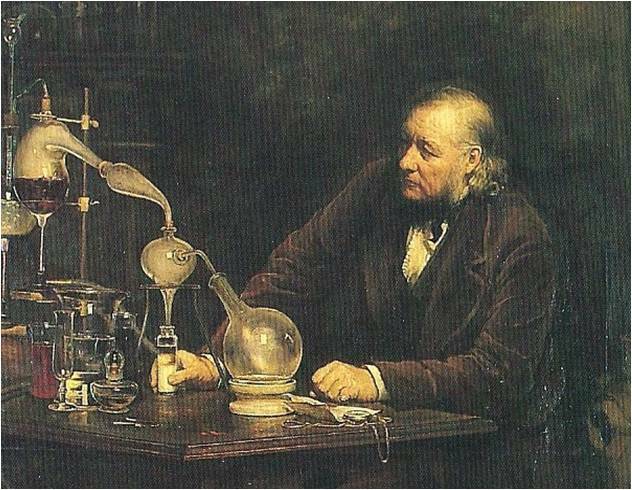 Mr Gurney’s successor was Frederick Puddle (left) – and so began the most famous period in the garden’s history. For the next eight and a half decades the development of the garden was very much a family affair, a partnership between three generations of the McLarens – Henry, Charles and Michael (the current garden manager) – and three generations of Puddles – Fredrick (1920-1947) Charles (1947-1982) and Martin (1982-2005). Frederick Puddle worked closely with Henry McLaren during a dynamic phase of the garden’s development. 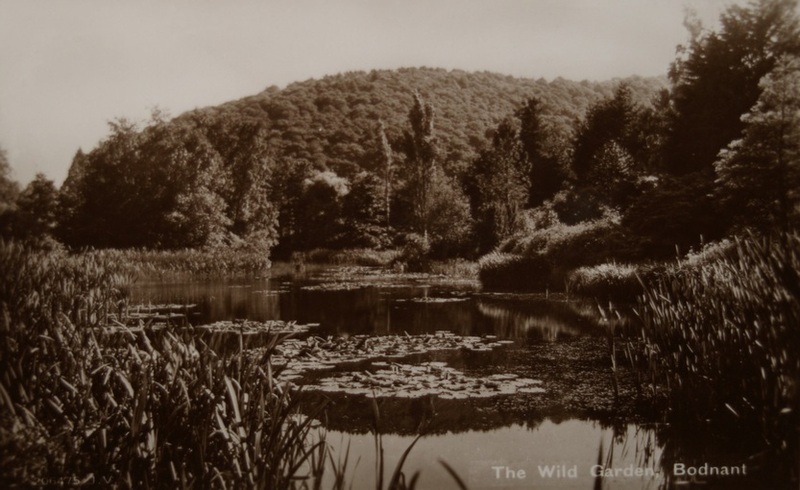 Through the 1920s and 1930s Henry sponsored expeditions by plant hunters such as George Forrest, Harold Comber and Frank Kingdon-Ward who brought back new plants from Asia and America to Bodnant. Most significantly, Forest introduced great quantities of rhododendrons to the garden. 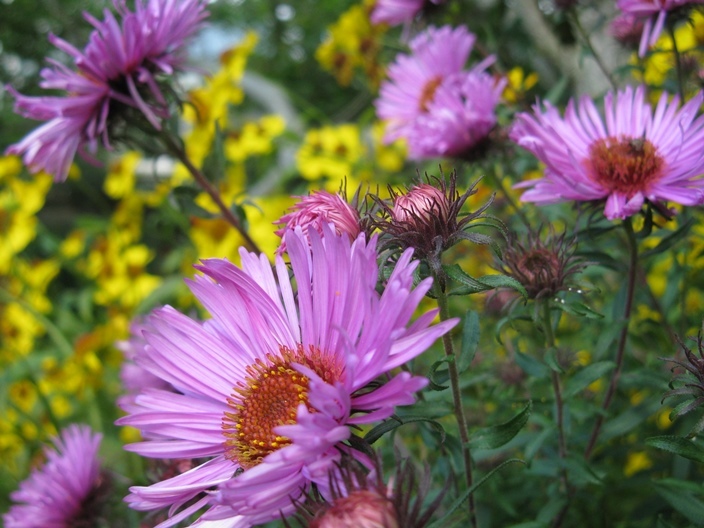 Frederick famously doubted whether these would thrive in North Wales…and was happily proved wrong. 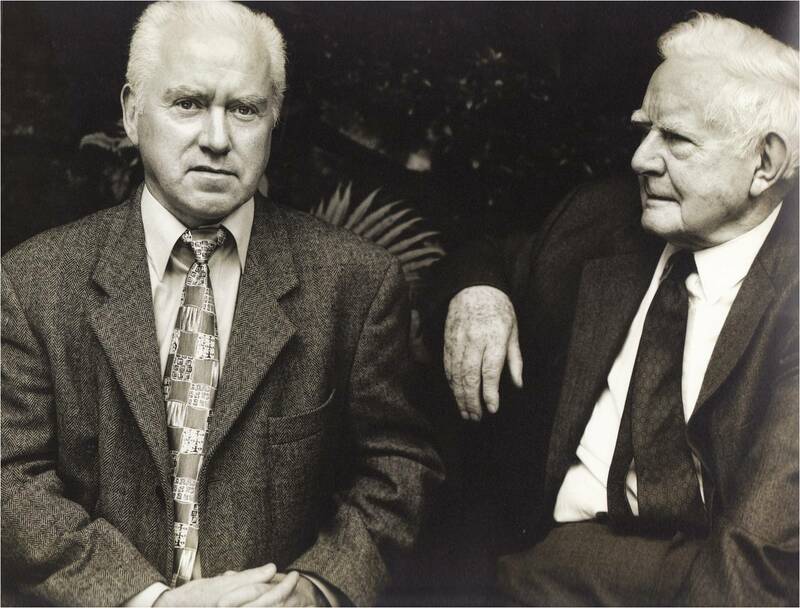 Not only did they thrive but he and Henry went on to breed new specimens, forming a collection of Bodnant hybrids. On another occasion Mr Puddle’s judgement was clearly spot on. Frederick oversaw the erection of the now iconic Pin Mill on the Canal Terrace, an 18th century building brought from Gloucestershire brick by brick in 1938. 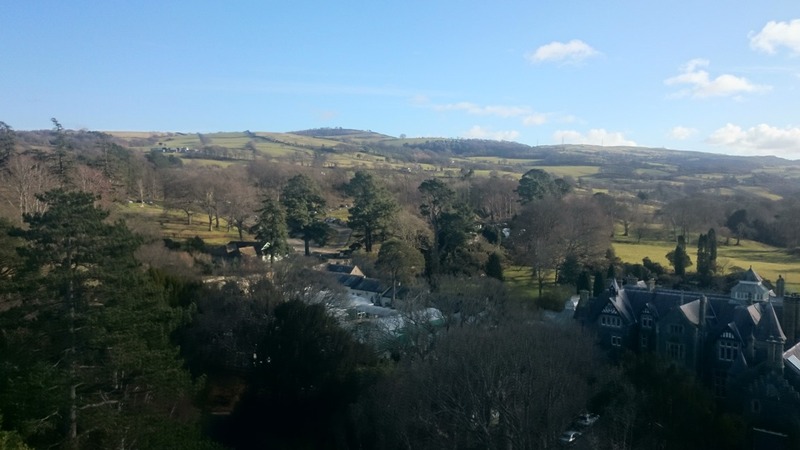 Legend has it that he persuaded Lord Aberconway not to site it in the middle of the terrace where it would spoil the mountain view – for which we can be forever thankful! 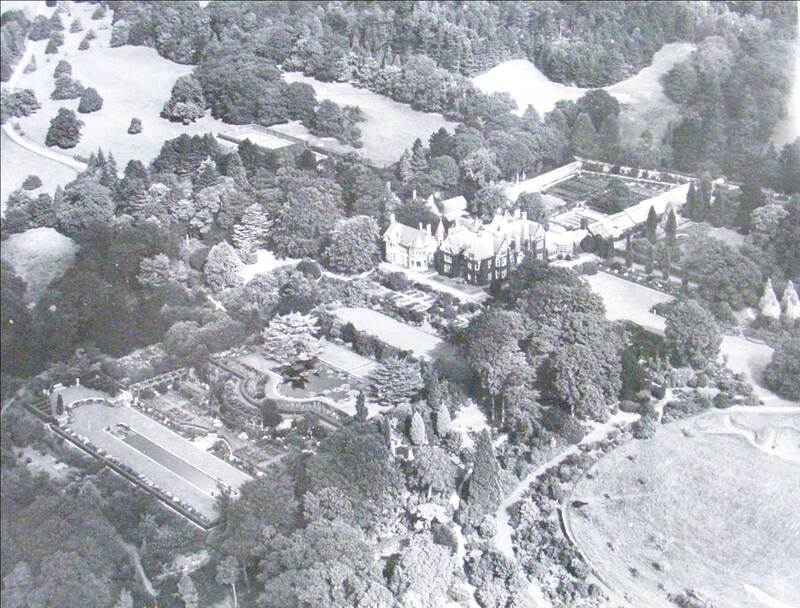 Frederick’s son Charles followed in his footsteps to become head gardener in 1947 and he was at the helm two years later when Henry McLaren, president of the Royal Horticultural Society, persuaded the National Trust to accept gardens on their own merit, handing over Bodnant to the care of the Trust – the second garden to be accepted after Hidcote. So began another chapter of Bodnant Garden as a National Trust visitor attraction, but the continuity remained in the links between the Puddle family as head gardeners and the McLarens, as garden managers. Charles and Martin Puddle (seen above) steered Bodnant through this new era, during which time it became one of Wales’ and Britain’s most famous gardens. The family link was sadly broken when Martin died unexpectedly in 2005. This was a huge loss to the garden and to staff, many of whom are still at Bodnant today and remember him with pride and great fondness. On his arrival in 2007 Troy Smith drove forward a number of innovations at the garden; the renovation of the two rose terraces, the redesign and replanting of herbaceous beds and borders and the construction of our new winter garden. 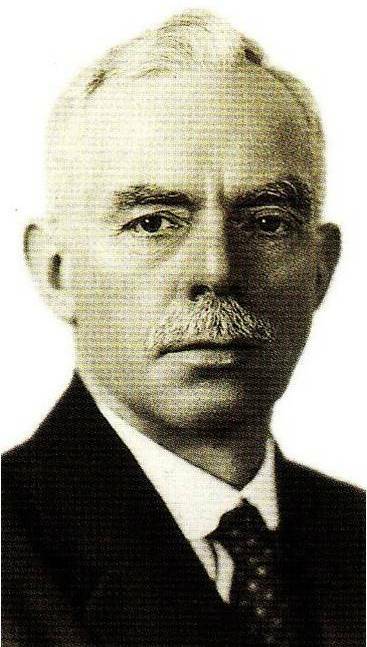 He also championed the introduction of volunteers to the team. 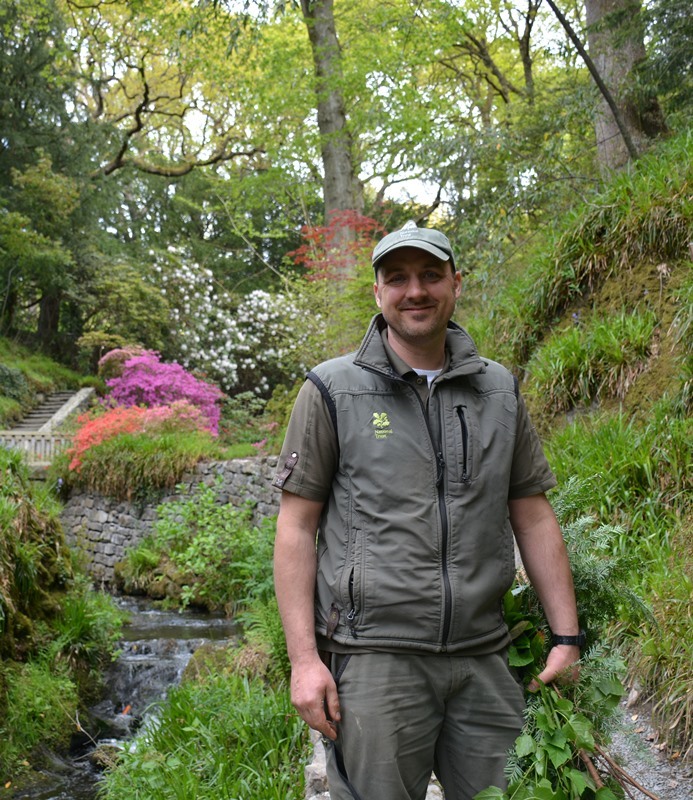 Since Troy left, the ship has been steered by acting head gardener Adam Salvin, who has been at Bodnant man and boy since coming here as a student for work experience. Adam has charted staff and volunteers through an incredibly busy 18 months which has seen the opening of new areas such as the Yew Dell and the Prim Path (above left) ongoing work to open The Far End this spring, the introduction of new picnic areas, family events, dog walking and winter garden openings. 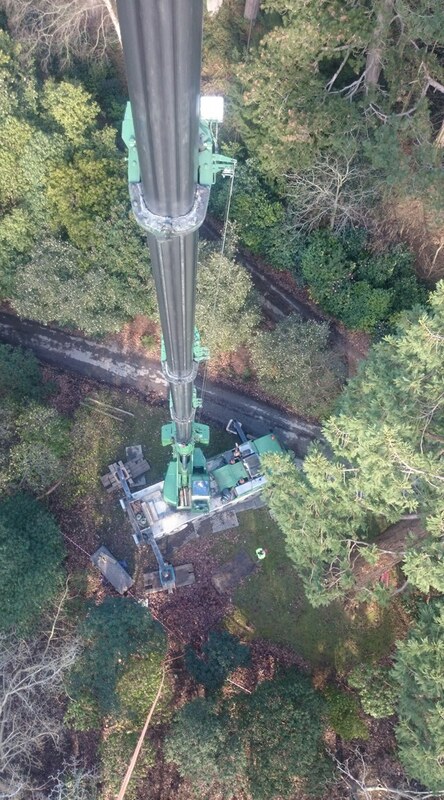 John Rippin will be following in firm footsteps (no pressure there then) but brings a wide range of experience to Bodnant, from his career at Hilliers, Hidcote and laterlly Castle Drogo. 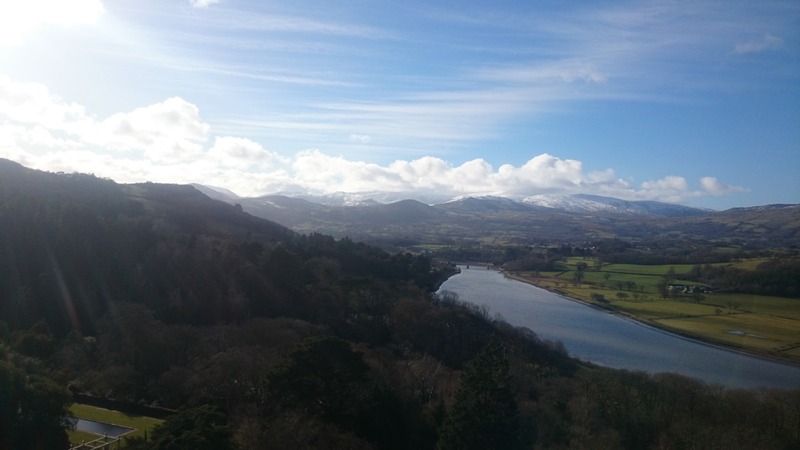 He is relocating to North Wales along with his family and menagerie of animals…and there are some Bodnant parallels to make him feel at home. His former Devon domain is a National Trust property with a formal garden noted for its rhododendrons, magnolias, rose garden and even a croquet lawn. Here’s to another new era!